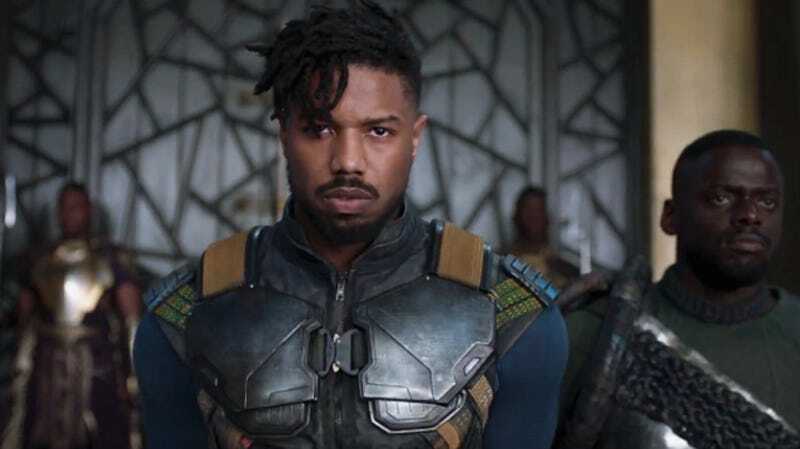 Some people found Killmonger’s aims to be noble and that the Black Panther movie was overt propaganda against revolutionary politics. Or some academics felt that the movie demonized black American men. The Wakandans never trusted, embraced or fully accepted Agent Ross; he was caught up in a palace coup and proved to be useful. If you think Black Panther spent too much time on or gave too much focus to Ross, you probably think Get Out was really about Detective LaToya and the inner workings of the Transportation Security Administration, aka the TSA. Hollywood doesn’t make revolutionary movies, and even movies that “look” revolutionary are really status quo propaganda. In every Planet of the Apes movie, the monkeys that want justice and revenge on humanity, even after years of being experimented on and oppressed, are always the bad guys. In the X-Men movies, even though Magneto is right every. single. time., he’s the bad guy. In Django Unchained, despite being a former slave himself, Django cares nothing about freeing others; all he wants is to get his wife back.